We start our day with this prayer during circle time. Initially the teacher leads the prayer. 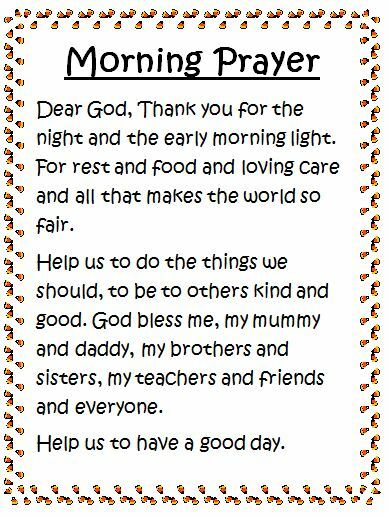 As the children get familiar and learn most of it, we pick two children to lead the prayer every morning. Posted on January 16, 2012 by Faryal	• This entry was posted in Circle Time, Dubai, Kindergarten, Sharjah, Teaching and tagged Circle Time. Bookmark the permalink.